Posted on Jan 22, 2015 by Appleton Downtown Inc.
Get ready for this year’s Death by Chocolate event, featuring the Chocolate Cronut at Bagelicious! This tasty pastry is created from croissant dough in a doughnut shape, filled with a Bavarian crème filling, and topped with doughnut glaze. 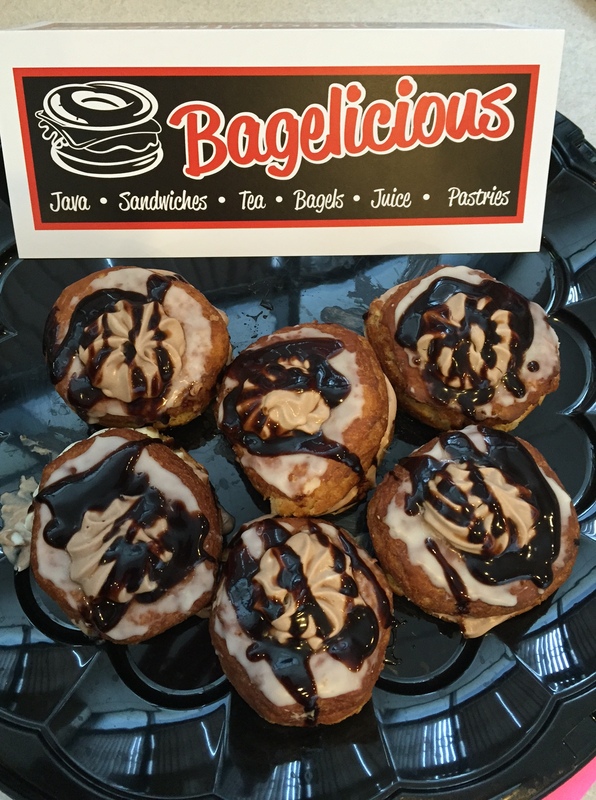 Bagelicious owner, Kyle, chose the dessert in hopes of providing the people of the Fox Cities the opportunity to try the hyped pastry that originated in New York City. Stop in to Bagelicious at 101 E. College Avenue today to try the only Cronut served in downtown Appleton and don’t forget to purchase your Death by Chocolate tickets today! Bagelicious offers catering and box lunches with free deliveries for orders over $30!